Three persons were last Monday sentenced to a total of 80 years’ imprisonment with hard labour by the Accra Circuit Court for their involvement in separate robberies. They are Jonas Akakpo, a washing bay attendant; Kwasi Francis, a driver’s mate, and Shadrack Mensah, unemployed. Akakpo and Francis pleaded guilty to the charges of conspiracy to commit crime and robbery and will each spend 25 years in prison. Their accomplice, Kojo Abeka, who is currently at large, is being sought for robbing a male passenger of his bag and GH¢65 at Kanda in Accra. Mensah, however, pleaded not guilty to the same charges in a different robbery case, but was found guilty by the court, presided over by Mr Francis Obiri and sentenced to 30 years’ imprisonment. Akakpo and Francis were said to have robbed their victim of his GH¢120 at St John’s, near Achimota in Accra, about 2 a.m. on June 2, 2014. The facts of the case, as narrated by Inspector K. Adu, are that the complainant in the case is a driver resident at Suhum in the Eastern Region, while Akakpo and Francis are a washing bay attendant and a driver’s mate, respectively. About 2 a.m. on June 2, 2014, the complainant arrived at St John’s after unloading goods from his mini Urvan vehicle, with registration number GE 4581—12. He was paid GH¢120 and decided to pass the night at St John’s to continue to Suhum the following day. The three (now convicted) attacked him, during which Francis held his hands at his back and the two forcibly removed the GH¢120 from his pocket. In a bid to cause the arrest of the three, the complainant tricked the two to believe that he was also a criminal who needed accomplices to operate with. “They boarded his bus and they moved from Dome, Kwashieman, Haatso, Atomic Junction and headed towards the Kwame Nkrumah Circle. On the way, they picked a male passenger at the 37 Military Hospital and on reaching Afrikiko Gardens near TV3, the three collected his bag and pushed him out of the car. 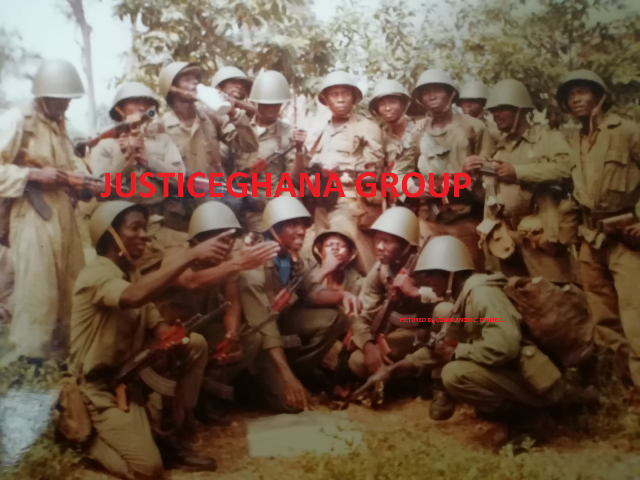 When they reached a police checkpoint near the Kwame Nkrumah Circle, the complainant alerted the police, who arrested the two convicts but their accomplice, Abeka, managed to escape. In Mensah’s case, he attacked and robbed a Level 400 Law student of the University of Ghana about 7.50 a.m. on April 28, 2014. He robbed the student at knife point, snatching her bag containing a laptop, two mobile phones and GH¢52.